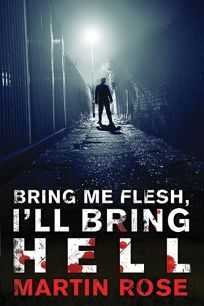 You’ve reached the main site for fiction writer Martin Rose, author of Bring Me Flesh, I’ll Bring Hell, a horror zombie detective novel from Skyhorse’s Talos Imprint, at your local booksellers and internet outlets, and the more recent follow-up, My Loaded Gun, My Lonely Heart. See my full bibliography here, or stay tuned to this blog for the latest releases. You can also connect with me on social media through twitter, facebook, or tumblr. Put your gun on the bar and stay awhile.